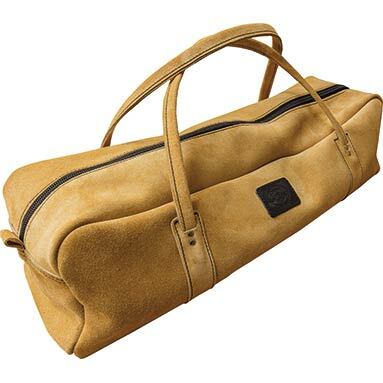 Leather tool bag, hand-made in the UK from durable, high-quality suede. Ideal for storing a wide variety of tools and equipment, whatever your trade! Guaranteed against faulty workmanship and materials. Dimensions (inches) - 24 x 7 x 7.